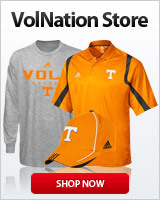 Everyone knows who Wolken is, his shtick, and how miserabld of a human he is, especially Vol fans. Well, others in the media know as well. Jake Rowe took him to task lol. For the most part, folks in Georgia aren't bad people, no more or less "subhuman idiots" than the populations of other states.